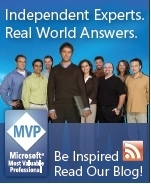 The Microsoft MVP Award is refreshed yearly and recognizes individuals who are expert in various Microsoft technologies. 'Help MVPs' focus on Microsoft documentation systems. This page lists the many recipients of the Help MVP award. Who are the Help MVPs? The Help MVPs are a diverse bunch. We train, lecture, write software, write books & articles, create web sites, run discussion groups and of course write documentation. We are passionate about the Help Experience and support the various Microsoft help teams as well as the many end-users that use the MS help technologies. Most of this group help out in online communities whether they currently have the award or not. 1995: Bill Meisheid & Stefan Olson become WinHelp MVPs under the Windows SDK group. 1997: The MVP movement was mostly for developer types. Peter Plamondon [MS] formed his own group of Microsoft Help technology experts for HTML Help. New MVPs: Cheryl Lockett Zubak, Dana Cline, Scott Boggan & Mary Deaton. 1999: Big growth for HTML Help -- New MVPs: Robert Chandler (AU), Paul Neshamkin, Jeff Hall (UK), Paul O’Rear, MJ Plaster, Josef Becker (DE), David Liske. 2000: In Oct 2000, the Microsoft MVP leed Jannie Clark, announced that the charter members (recruited by Peter) were now official Microsoft MVPs. Also Yuko Ishida (JP) became a Help MVP. 2002: Paul O'Rear (Help MVP 1999-2002) joined Microsoft, working with help technologies in the developer division. MS Help 2 was developed for Visual Studio help and more Help MVPs were added - Bill Burns, Char James-Tanny, Dana Worley, Rick Stone, Rob Cavicchio. 2003: New Help MVP: Pete Lees (UK). 2004: Mid 2004 Peter Plamondon left Microsoft for green pastures leaving the job of Help MVP lead to Paul O'Rear. 2007: New Help MVPs - Frank Palinkas, Ulrich Kulle (DE). 2014: April 2014 Microsoft retired 'Help' as a MVP Technical Expertise, reflecting the desire to move away from desktop computing. Dana later became a Media Center MVP. Paul joined MS in 2002 and eventually became the new Help MVP Technical Lead. Peter formed the first Help MVP group in 1997. With MS for 10 years (Nov.94-July2004) and now working for HP. Author of FAR HTML Software.